What’s New in KD Reports 1.7? The latest release of KD Reports further enhances your ability to get printable and exportable reports from code and XML descriptions. For those who like using CMake instead of qmake, you’ll be glad to know KD Reports now comes with a fully functioning CMake buildsystem (see INSTALL-cmake.txt). UNIGINE announced earlier this month an update to their UNIGINE 2 Engine powered Superposition benchmark tool, with new features in the free version. This update was announced on April 12th, which we missed! Superposition benchmark 1.1 now includes a free interactive VR mode, which was previously locked down to their paid editions. It supports multiple HMDs including SteamVR and as of this release they also said this now includes Linux users in the VR features too which is awesome. SiNKR 2, a sequel to the multi-award winning minimalist puzzle game SiNKR is on the way! Releasing on May 9th, with Linux support. Fantastic to see continued Linux support, especially for such an interesting looking puzzler. Paradox Development Studio and Paradox Interactive have today released their latest grand strategy game Imperator: Rome, as expected it's come with same-day Linux support. Battle for Wesnoth 1.14.7 was released a few days ago with many improvements and fixes, and later 1.14.8 was released with a quick fix for Mac OS. Here’s how to install it in Ubuntu 16.04, Ubuntu 18.04, and higher. Databricks, a specialist in Unified Analytics and founded by the original creators of Apache Spark, has announced a new open source project called Delta Lake to deliver reliability to data lakes. Delta Lake is the first production-ready open source technology to provide data lake reliability for both batch and streaming data. This new open source project will enable organisations to transform their existing messy data lakes into clean Delta Lakes with high quality data, thereby accelerating their data and Machine Learning initiatives. For many people, Red Hat Summit is an annual ritual. A chance once again to catch up on Red Hat’s plans for the year, learn about new technologies, see colleagues and friends, and make new acquaintances. They’ve got the routine down, and are ready to get the most out of Summit from start to finish. New to Red Hat Summit? We want to help you do the same - so read on for some tips to help you get the most out of your first time joining us at Summit. Also puppies. The deal is expected to close in June or July, and the companies are working on integrations and will be announcing details at the MongoDB World customer conference in mid-June. After unsuccessful negotiations between a coalition of Norwegian organizations and the academic publisher Elsevier culminated in cancelled subscriptions earlier this year, the two have successfully established a new nationwide licensing agreement. The deal, which was announced yesterday (April 23), is a pilot program that covers a period of two years, during which articles with corresponding authors from Norway will be published open access in most of Elsevier’s journals. Hardkernel's newest single board computer is the ODROID-N2 that they sent over a few weeks ago for benchmarking. The ODROID-N2 is built around the Amlogic S922X SoC and features four Cortex-A73 cores and two Cortex-A53 cores, options for 2GB or 4GB of DDR4 system memory, eMMC connectivity, Gigabit Ethernet, and four USB 3.0 ports for starting out just above $60 USD. The ODROID-N2's use of an Amlogic S922X big.LITTLE design makes for an interesting setup with the four Cortex-A73 cores clocking up to 1.8GHz and the two Cortex-A53 cores able to hit 1.9GHz. This SoC uses the Mali G52 Bifrost GPU, which eventually should see nice driver support via the open-source Panfrost graphics driver stack. Sometimes completion windows get in the way of reading the surrounding code. With Builder Nightly, you can press and release Left Control to toggle translucency of the completion window. The Rust team is happy to announce a new version of Rust, 1.34.1, and a new version of rustup, 1.18.1. Rust is a programming language that is empowering everyone to build reliable and efficient software. I wrote several months ago about our impending decision to switch to clang-cl on Windows. In the intervening months, we did that, and we also dropped MSVC as a supported compiler. (We still build on Linux with GCC, and will probably continue to do that for some time.) One (extremely welcome) consequence of the switch to clang-cl has only become clear to me in the past couple of weeks: using assembly language across platforms is no longer painful. First, a little bit of background: GCC (and Clang) support a feature called inline assembly, which enables you to write little snippets of assembly code directly in your C/C++ program. The syntax is baroque, it’s incredibly easy to shoot yourself in the foot with it, and it’s incredibly useful for a variety of low-level things. GCC 9 has reached zero "P1" regressions that mark issues of the highest priority. With that list cleared, GCC 9.1 is moving towards release as the first stable version of GCC 9. GCC 9.1-RC1 will be out soon while GCC 10.0 is open on master. Red Hat's Jakub Jelinek shared that the last 12 P1 regressions have been addressed and thus the current compiler code branched to the newly-created gcc-9-branch. That in turn marks the SVN/Git code opening up for GCC 10.0 development on master. GCC 10 will be developed over the next year culminating with the GCC 10.1 compiler release around this time next year. I like reading stuff on twitter.com because a lot of interesting people write things there which they don’t write anywhere else. But Twitter is designed to be addictive, and a key mechanism they use is the “infinite scroll” design. Infinite scroll has been called the Web’s slot machine because of the way it exploits our minds to make us keep reading. It’s an unethical design. Today was a Go/No-Go meeting for the final release of Fedora 30 but the Linux distribution in its current state isn't ready to be released. Fortunately, a week delay hasn't been set in stone yet but will be convening tomorrow to see if the latest release candidate is ready in the next 24 hours to be promoted as final. 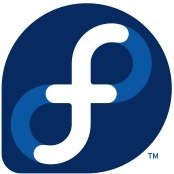 There has been last minute snags with Fedora 30 around Fedora upgrade issues with systems leveraging modular content, KSieve failing to start, and initial setup failing. There are currently 2 users and 252 guests online. Five Methods To Check Your Current Runlevel In Linux?